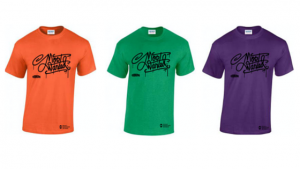 Want a completely unique t-shirt designed by a leading British graffiti artist? Scroll on to see 45RPM’s work and how to get involved in our competition. What do wine and art have in common? Plenty. What was Leonardo drinking while painting The Last Supper? Definitely not lemonade. We know that with great wine comes great art. 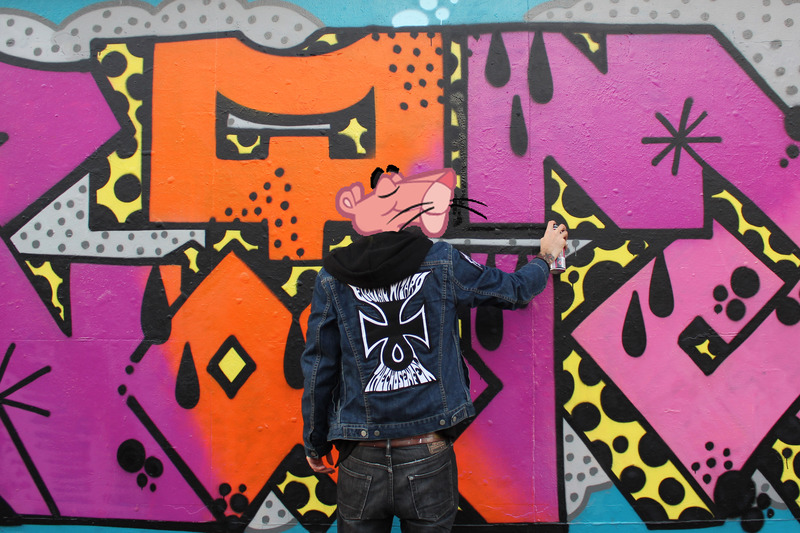 This is why we asked Bristol-based graffiti artist, 45RPM, to create the artwork for our Winery Finery pop-up – an evening of no-bull wine tasting, music and a bit of culture to launch our new range. 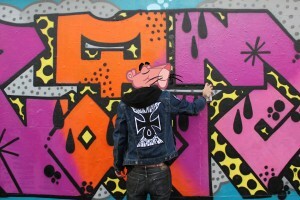 45RPM’s creations are always hand-drawn and inspired by slang or cockney rhymes he might have come across while enjoying his morning coffee. From one-off pieces of graffiti to brand artwork for Penguin Books and Sailor Jerry, you just know that when 45RPM gets his hands on a pencil, the result will be big. We first saw 45RPM’s work at the HangFire gallery during Upfest and fell for his style. He brings a no-nonsense approach to art, like us with wine. 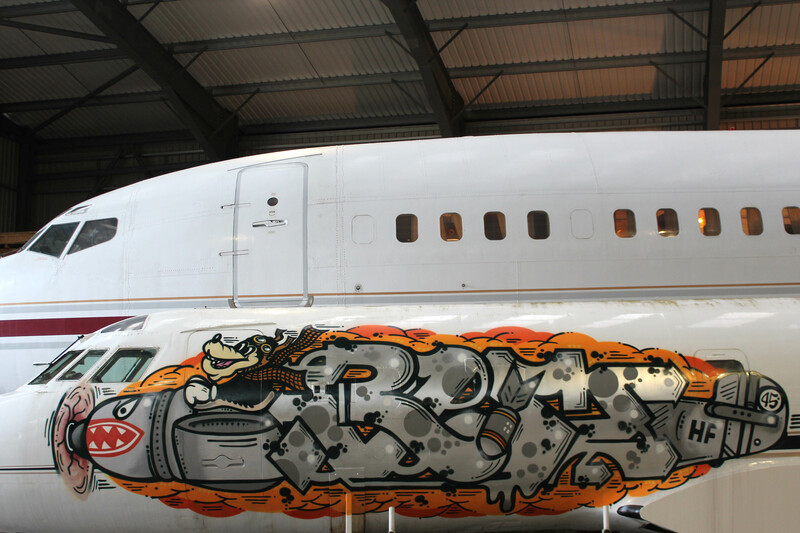 During his collaboration with the gallery, he took part in HangFire’s HangerOne project painting a chopped up Lockheed Jetstar in his distinctive style. When we looked into getting t-shirts printed for the staff at our Winery Finery event, we didn’t want normal, dry, corporate-looking designs. We don’t do corporate – and neither should our bar staff. 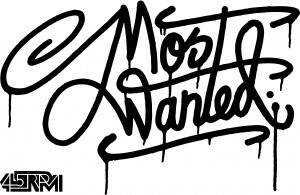 So who better to call than 45RPM, who drew up a unique Most Wanted design. 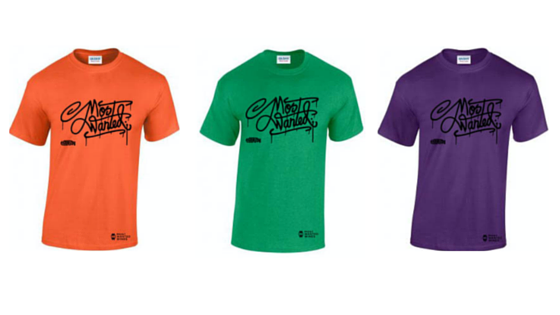 We’re not the type to keep them all to ourselves so we’re offering you the chance to win your own 45RPM t-shirt, printed in green, purple, or orange. 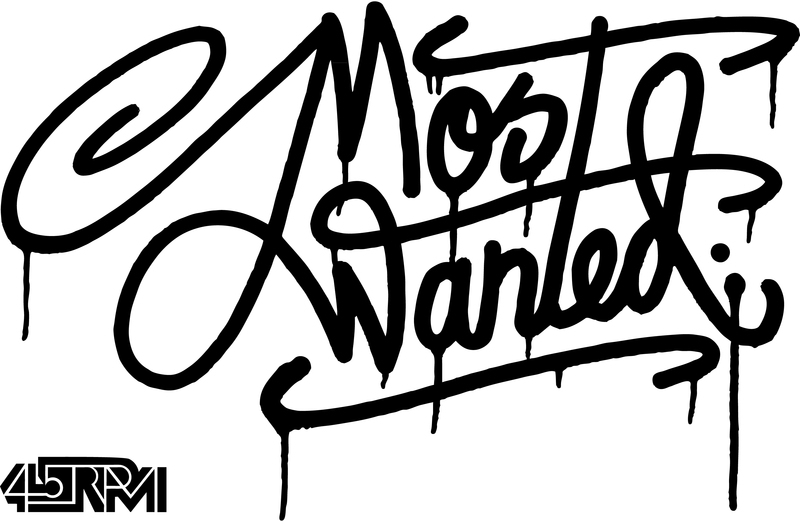 You’ll need to join us as a Most Wanted Insider first, if you aren’t one already. This means you’ll also be in for the chance to win some free wine. Because we’ve got plenty of that too. It’s a pretty sweet deal – and it’s not even Christmas. You have until February 29th. Click here for the competition’s Terms & Conditions.